Christmas is one of the most well-known and widely celebrated holiday in the Western Hemisphere. It is a time when people come together to commemorate the birth of Jesus of Nazareth and thank family, friends, and community members with generous presents. An aspect of Christmas that is extremely prominent here in the U.S, is the beautiful decorations that adorn the homes of Christmas celebrators; many families decorate Christmas trees, hang personalized stocking, and install lights onto the roofs of their homes. All of these decorations are exceptionally beautiful but exceedingly costly. According to Forbes, Americans spend an average of “$51.43 on tinsel, lights, and ornaments” and an average of about $1,000 throughout the days leading to Christmas. The numbers are strikingly high and it brings into question how one can save money in this already financially stressing month? Well, the answer is easy, make DIY products. One way to reduce costs is, by decorating your home with goods you make. It can be as simple as an ornament, or as complex as wreath. Of course, coming up with DIY decoration ideas are difficult, but with the help of the Bamboo you will have nothing to fear. In this article, different DIY Christmas decorations will be enumerated and hopefully give you a few ideas on how to conserve your wealth. Then, gather the necessary amount of popsicle sticks to build the snowflake and begin building. One the snowflake is stable and the glue had dried, paint it. 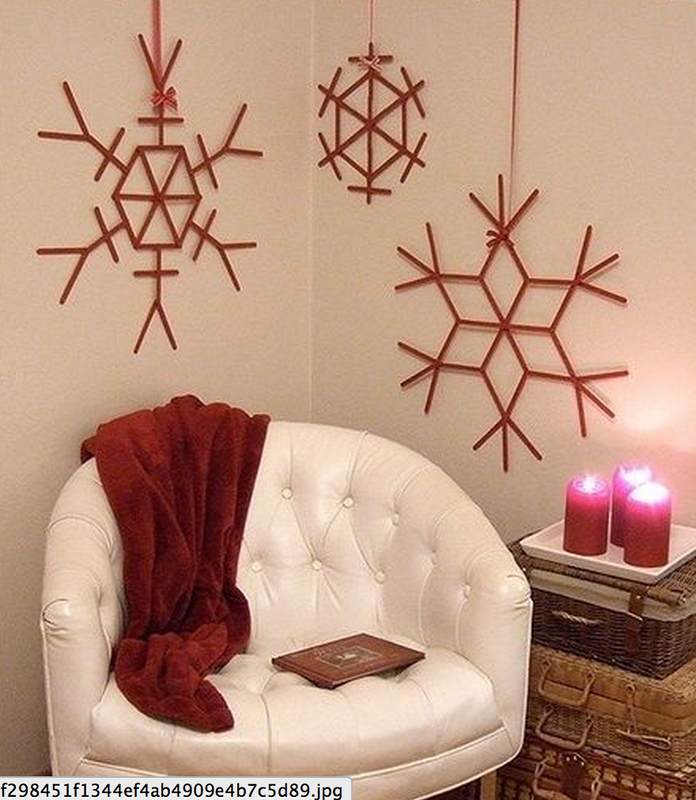 Once you paint the snowflake you may attach a ribbon to the end or simply use it as center piece for your table, wall, etc..
Ornaments can be quite expensive and fragile. Sometimes upon bringing them home, you might shatter one and leave a long trail of plastic or glass in your hallway. 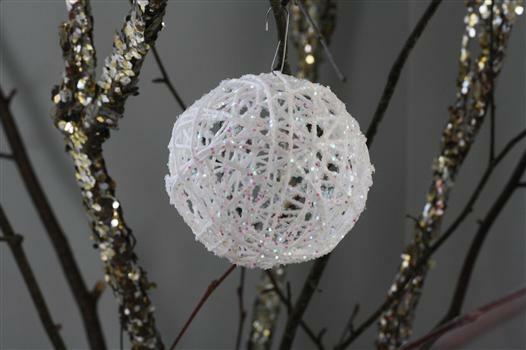 There is a way to avoid this mess, instead of buying brittle ornaments you can make them yourself with durable yarn. After you are done wrapping the yarn around the balloon, glue the end of the yarn onto other neighboring yarns. Then, pour glue onto a bowl and fully immerse the balloon into the bowl. (Make sure all parts of the yarn are covered with glue, it will ensure it retains its shape. Once the glue dries, dip it once more into the bowl of glue and immediately place it on the bowl filled with glitter. Once it dries, deflate the balloon and take it out through one of the holes in the ornament. After wards attack a ribbon to one of the open and it is ready to hang. This is a reuse, reduce, recycle Christmas decoration. If you have an old vase lying around your home, this is a good time to take it out. Now instead of spending over $13 for an extravagant vase or centerpiece, you can spend less that $5 with this DIY project. First, clean your vase. Make sure there are no stray materials or dust on the exterior of the vase. Once you clean your vase, paint the exterior with glue. Make sure the vase is heavily coated. Then pour glitter onto a large pan or bowl. Afterwards, slowly coat the vase with glitter. If you do it to fast it will give the vase a sloppy appearance. Once the vase it dries, you can place it anywhere in your home. 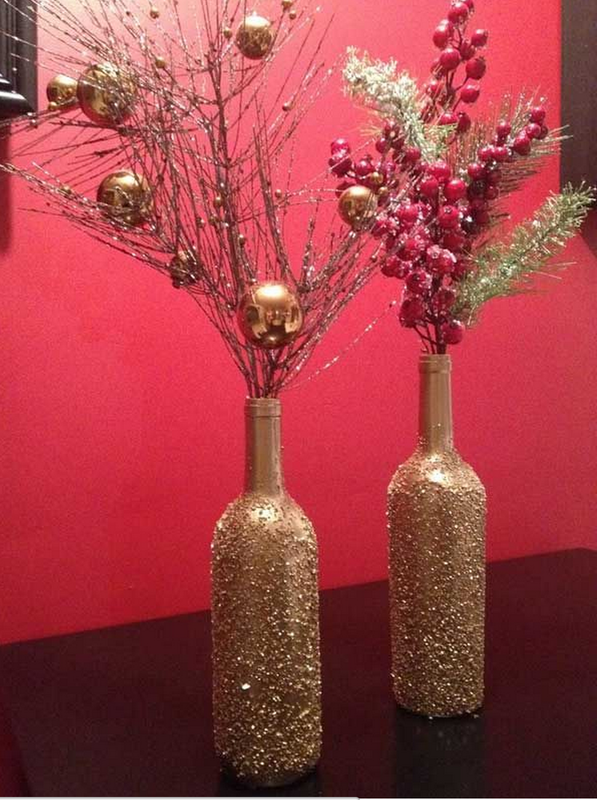 You can put Christmas related flowers, twigs, rosemary, or practically anything in the vase. First paint your Mason jar with blue paint. Allow it to dry completely. Then paint a Christmas scene in black paint. If you cannot paint a scene you can print out a iconic Christmas scene onto black paper. If you use black paper make sure to cut the scene out of the paper and glue it onto the outside of the mason jar. If you glue it on the inside of the mascon jar it may catch on fire once you place a candle in it. Then allow the Mason jar to completely dry. In most cases it will take about an hour to do so. Then open the jar and put some Elmer’s glue on the base. Afterwards, place a candle on top of the Elmer’s glue and allow that to dry as well. 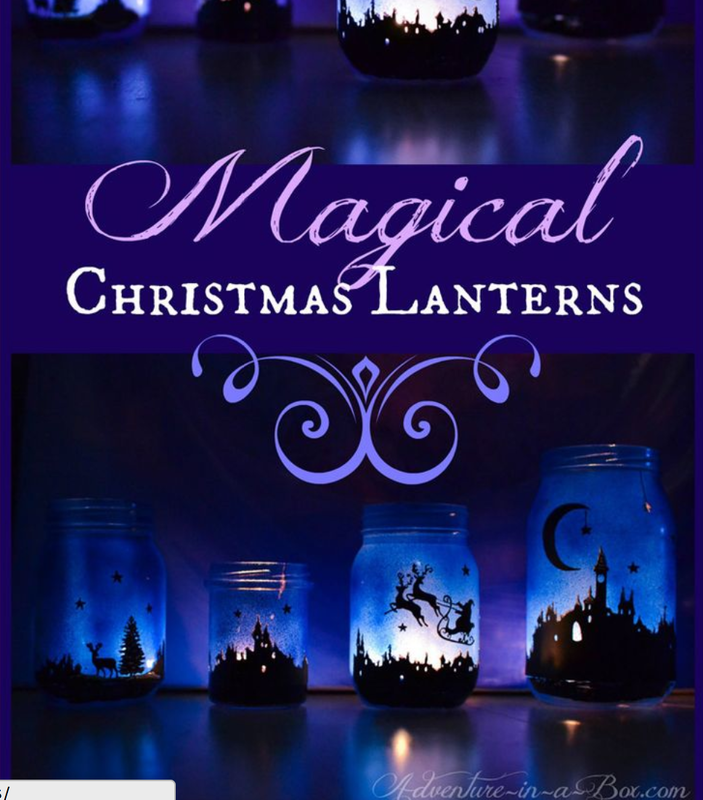 After the base of the candle has dried you can light it and enjoy some Christmas magic!